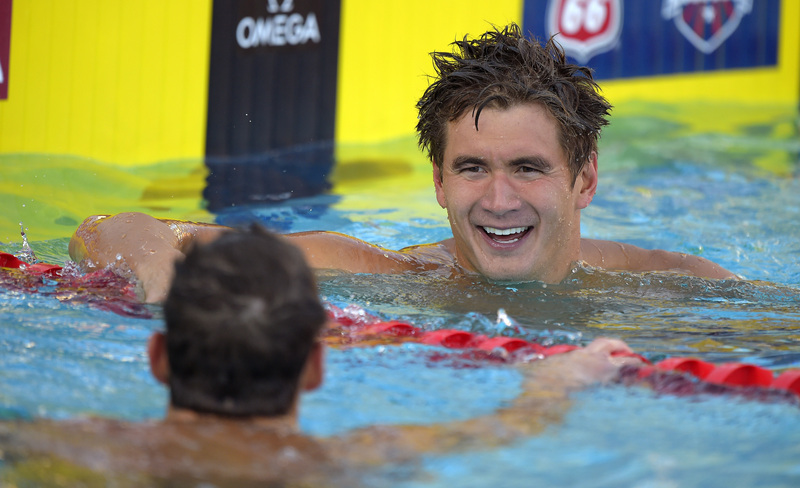 In what is the biggest domestic swim meet of this year, Nathan Adrian spoke with the media during a press conference today on the eve of the U.S. Swimming Summer Nationals in Irvine, California. Nathan, a multiple gold medalist from Bremerton, said he’s expecting a great meet as everyone will be looking to secure their spot for international competition the the next couple of years. Nathan talked a bit about swimming against Michael Phelps in the 100, training with Anthony Ervin and some more about Rio. You can read the entire press conference transcript here. 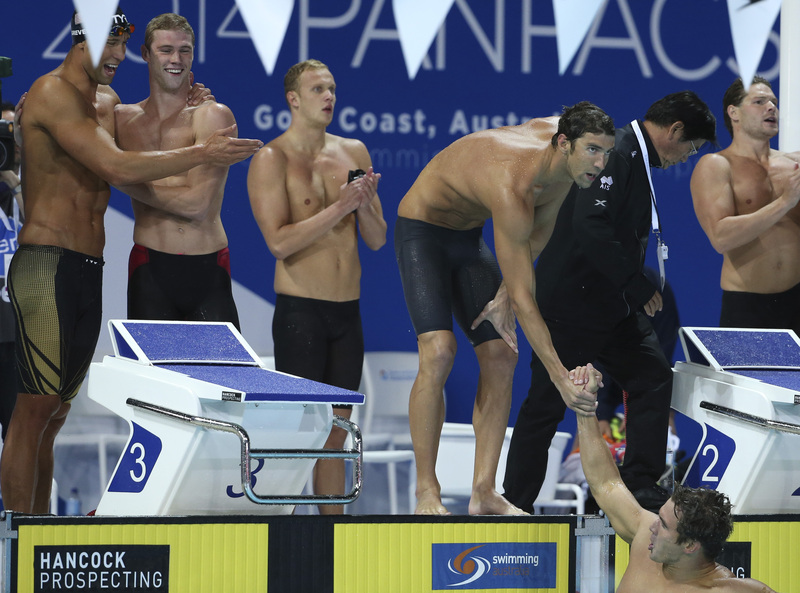 Or go to swimmingworldmagazine.com and watch the video. Nathan is in the ninth of 10 heats for the 100 meter freestyle on Wednesday. That heat is slated to start at 10:26 a.m. Wednesday and USA Swimming is good about keeping the meet moving on time. Finals are at 5 p.m. and the entire meet can be viewed via webcast at usaswimming.org. And this little video gem from swim coach David Marsh is a keeper. Not sure who the young girl is, but she’s dumbfounded when Nathan walks up behind her and introduces himself. Bremerton can continue to proud of their hometown champion. He is just that nice of a guy.